Question: Whenever I connect my iPhone to omputer, iTunes will automatically syncs the data. How can I turn off auto sync iTunes? One of the irritable iTunes features which quickly gets frustrating is that as soon as you connect your iPhone, iTunes opens up and immediately starts syncing your data. Considering that most of us have a lot of emails, photos, videos, and music stored on our iPhone/iPad, this must lead to a lengthy process. The best solution to this is to turn off auto sync iTunes. Not everyone is aware of this possibility but if you dig into the iTunes’ settings menu, you can prevent the automatic sync from taking place every time you connect your iPhone/iPad. So, if you’re on a friend’s computer or you don’t have the time to sync your iPhone, keep on reading this guide to disable auto-syncing in 2019. Connect your iOS device using a USB cable and open iTunes (if it doesn’t launch automatically). Click the device icon at the top-left of iTunes and then on the “Summary” tab. Under “Options”, untick the “Automatically sync when this iPhone is connected” box. After disabling this feature, you can connect your iPhone without iTunes automatically syncing. On the other hand, if you have an earlier version of iTunes installed (iTunes 11 and older), you have to use these steps for iTunes to turn off auto sync. Use a lightning cable to connect your iPhone, and launch iTunes on your Mac. Go to “Edit > Settings > Devices”, and select the “Devices” tab. Locate the option “Prevent iPods, iPhones, and iPads from syncing automatically”, and check the box next to it. Neither of these solutions are difficult but there are a lot of minor features like this which make iTunes bothersome to use. After you’ve found out how to turn off auto sync on iTunes, it’s still important that you need to sync your data regularly. Doing so minimizes the risk of data loss but if iTunes isn’t for you, you can consider iMyFone D-Port Pro instead. For those who aren’t familiar with iMyFone D-Port Pro, here are some of this iTunes alternative’s features. 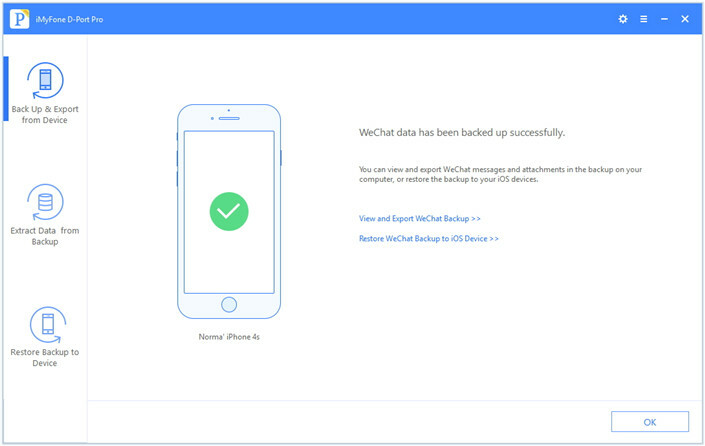 Take a backup of only your texts, WhatsApp, or WeChat messages. 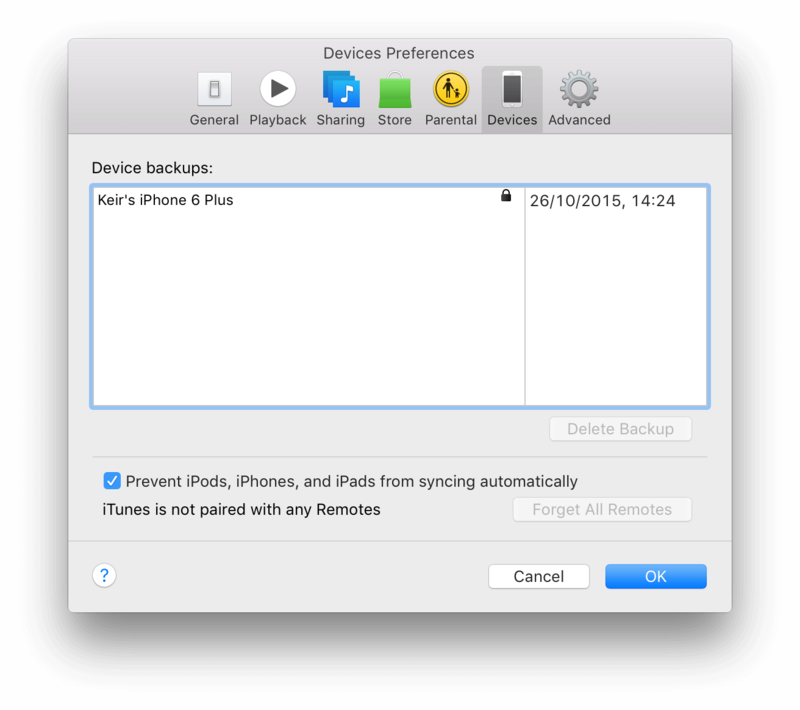 Backup iOS data without overwriting previous backups. 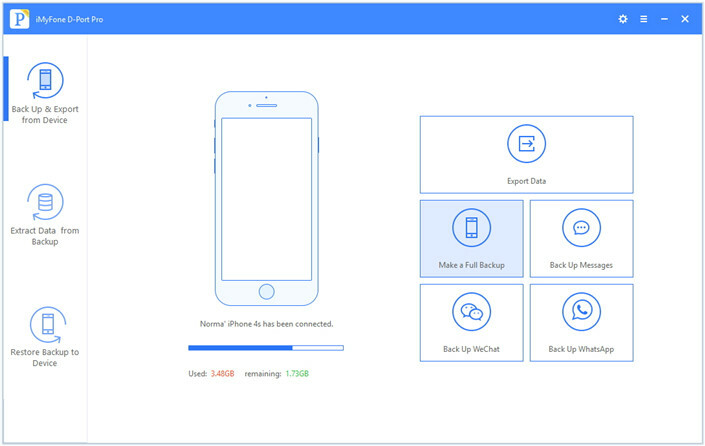 Restore backups from iMyFone D-Port Pro, iTunes, and iCloud. 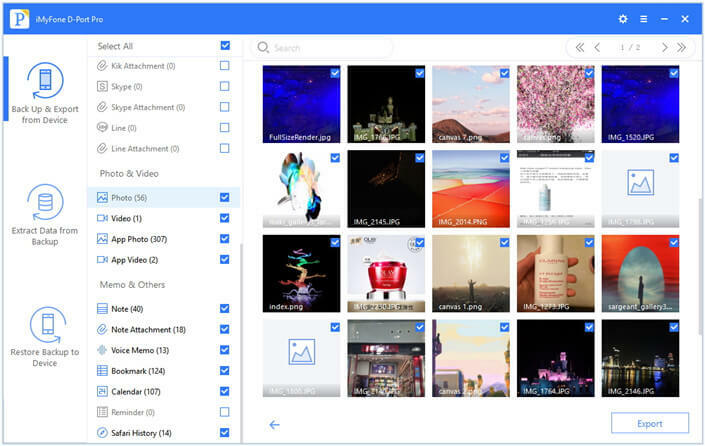 Export files from your iPhone/iPad without taking a backup. It’s clear that this is one of the more advanced iTunes alternatives. In the sections below, we’re going to walk you through some of its different uses. Firstly, if you want to export data from your iPhone/iPad to a computer, follow these steps. Connect your iPhone/iPad, click on “Back Up & Export from Device”, and select “Export Data”. Select the specific data types that you want your device to be scanned for. Click “Next” to proceed. Once the scan is complete, simply explore the different data types and select the files that you want to export from your iPhone. Click on the “Export” button, choose a file location, and you’re done. In the past, exporting data from an iPhone wasn’t possible. With this iMyFone D-Port Pro feature, it’s become a possibility. 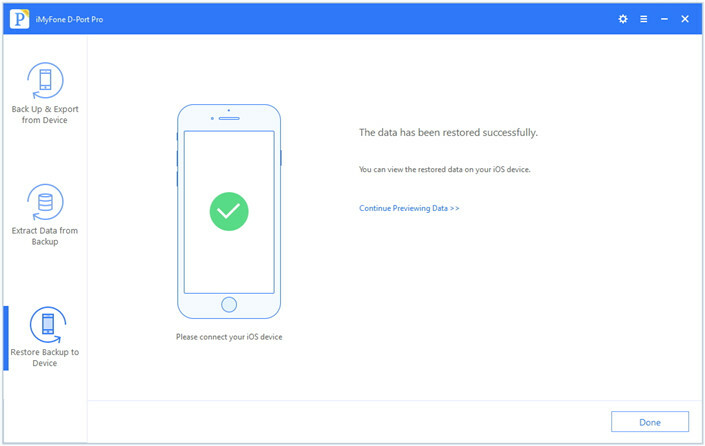 Next, we’ll be looking at how to take a full backup of your iPhone/iPad data using iMyFone D-Port Pro. 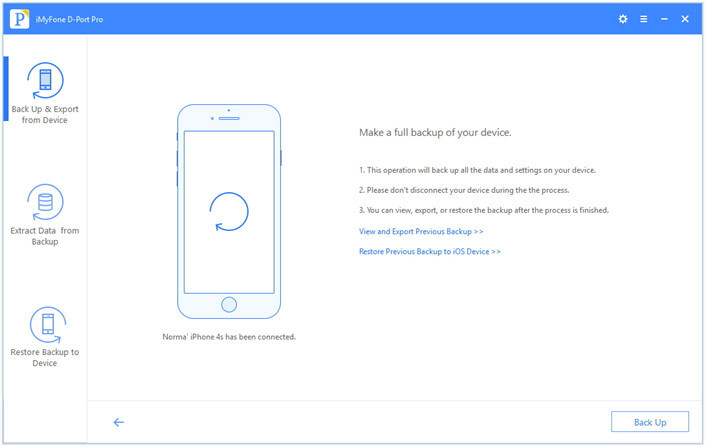 Click “Back Up & Export from Device”, connect your iOS device, and click the “Make a Full Backup” feature. On the following screen, read the information and press the “Back Up” button. After a few seconds, all of your iPhone/iPad data will be backed up. 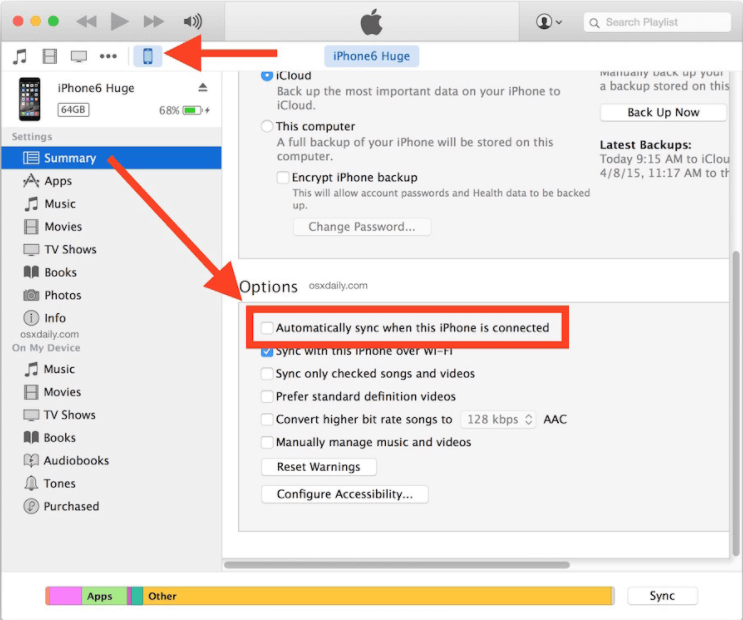 If you turn off auto sync iTunes, make sure that you use this method to take a manual backup of your data regularly. 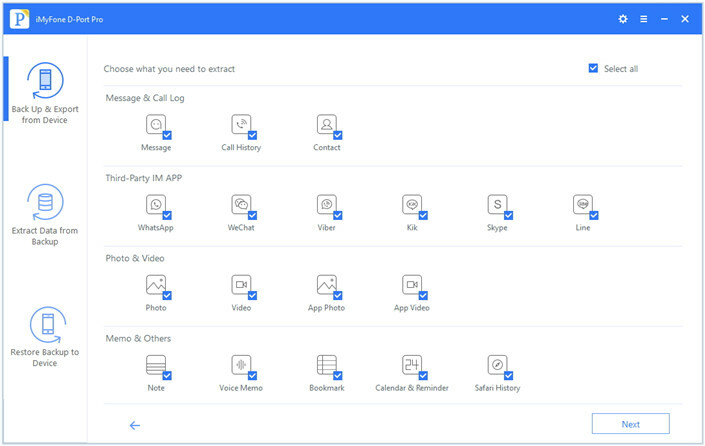 Alternatively, you might find yourself wanting to sync only your WeChat messages. You can do so by following these steps. Select “Back Up & Export from Device” from the left menu and connect your iPhone. Next, click on “Back Up WeChat”, read the brief that is shown, and click “Back Up”. In just a couple of minutes, your messages will be backed up. For WhatsApp or Messages, you can also use the relevant features and steps. 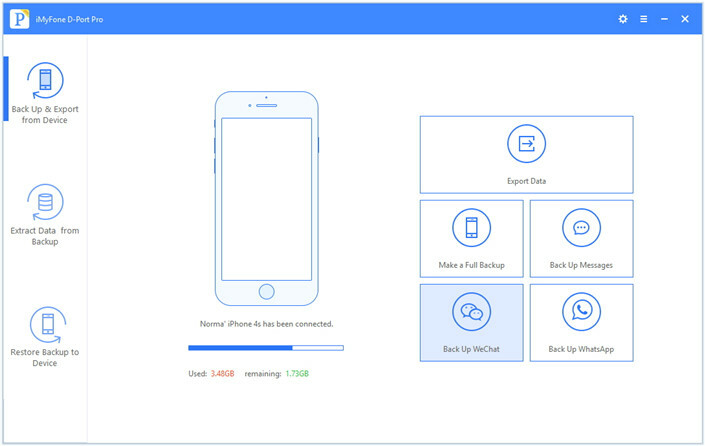 If you need to restore a backup to your iPhone/iPad, this all-in-one tool can be used too. 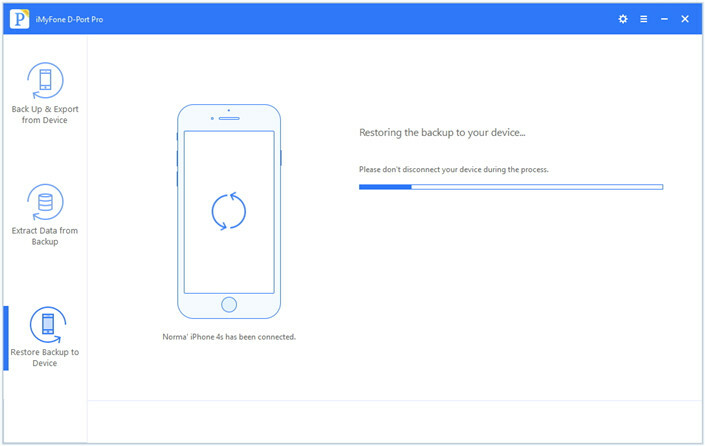 From the left menu, click on “Restore Backup to Device” and connect your iPhone using a lightning cable. Select a backup from the list that is shown and then click on the “Restore Full Backup” feature. Read through the information that is shown, click “Next”, and the backup will be restored. As there are both backup and restore features, iMyFone D-Port Pro is the perfect iTunes alternative. Similarly, if you’ve taken a backup using iTunes or iCloud, we can recover those as well. 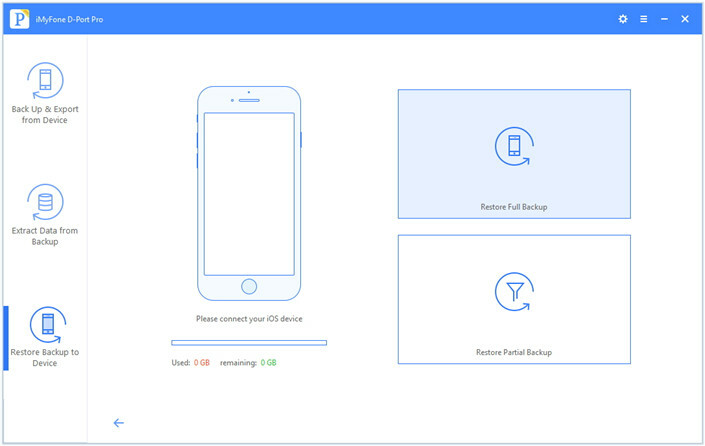 Connect your iPhone and from the left panel, click on “Restore Backup to Device”. 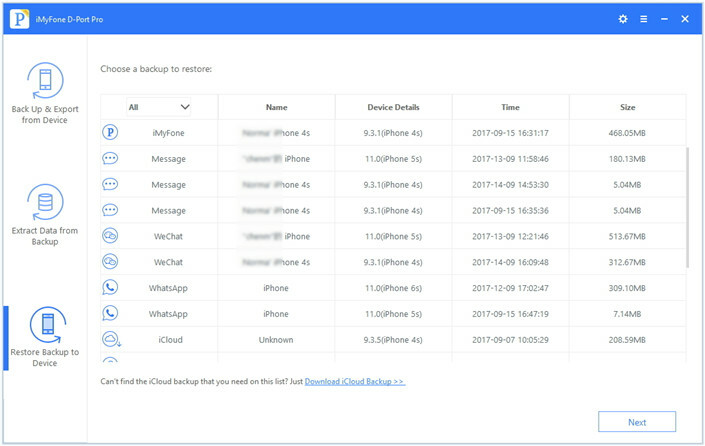 A list of iTunes and iCloud backups will be shown. 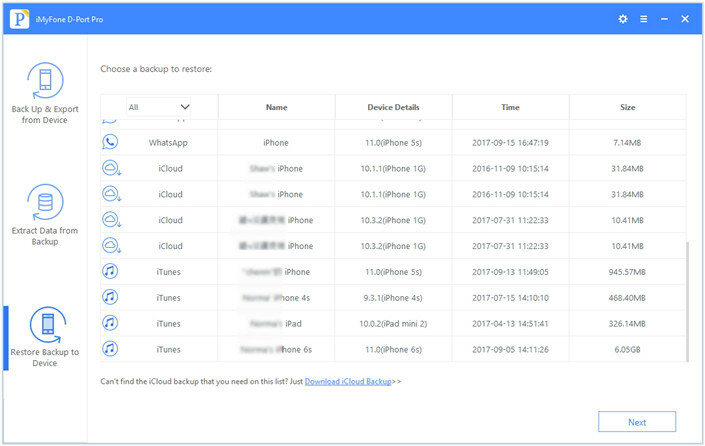 Here we will take iCloud backups for example. 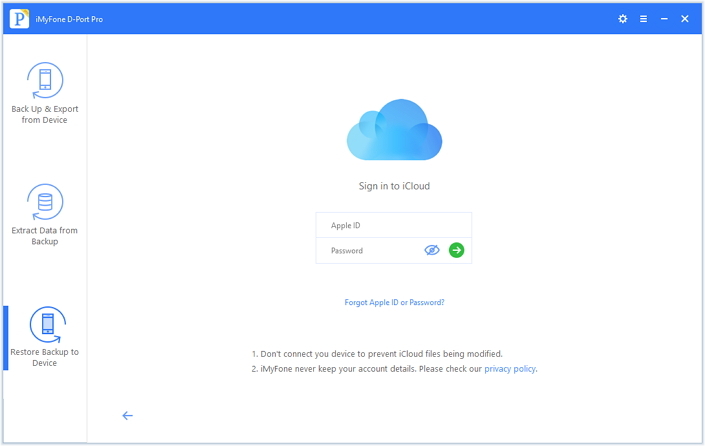 Click “Download iCloud Backup” from below the list, sign into your iCloud account, and then choose it from the list. After clicking “Next”, select the “Restore Full Backup” option followed by “Next”, and your iCloud backup will be restored. 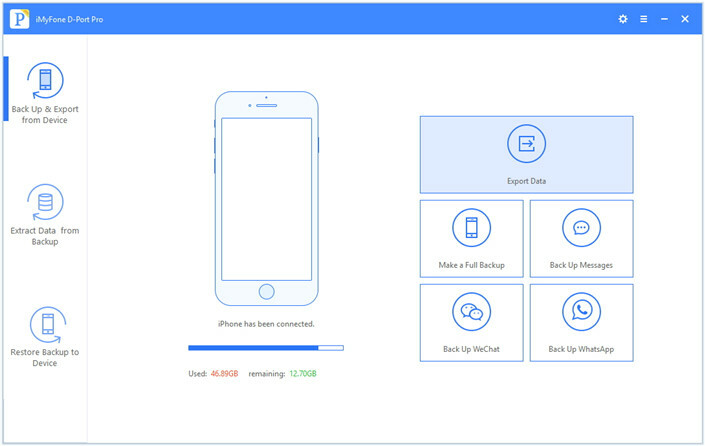 There is a lot of flexibility available when it comes to backing up and restoring data with iMyFone D-Port Pro. Each of the methods that we detailed above proves exactly that. While iTunes’ auto-sync feature can be frustrating, it’s easy to find out how to turn off auto sync on iTunes. After changing this settings, you can either continue using iTunes or, as we recommend, you can move over to iMyFone D-Port Pro. Let us know in the comments below how these solutions have helped you or if you have any relevant questions for us.